technology will be woven into the classrooms of public schools. Students in San Francisco may soon learn computer science starting as early as preschool. 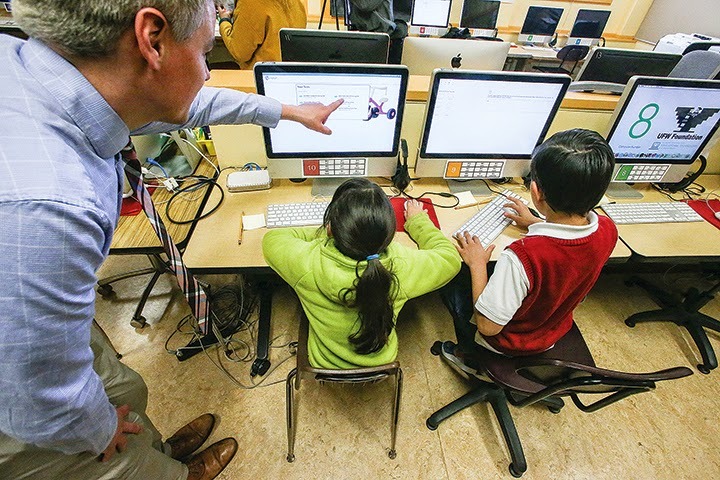 The San Francisco Unified School District is exploring the bold and unprecedented curriculum change as part of its Digital District plan, a five-year roadmap released last year that highlights how technology will be woven into the classrooms of public schools. Computer science education includes coding, computer security and databases — all valuable skills in today’s job market. 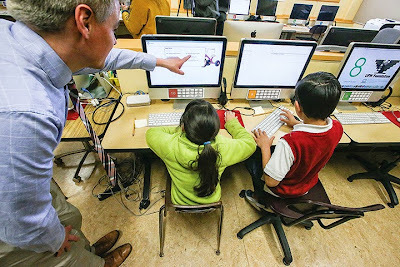 The move could make the SFUSD potentially the first district in the U.S. to implement a mandatory computer science curriculum for all pre-kindergarten to 12th-grade students. Currently, there are 28 computer science courses offered at 10 high schools, which reach just 5 percent of The City’s high school students. Two middle schools offer computer science electives, impacting less than 1 percent of all sixth- through eighth-grade students. There are no computer science courses taught in elementary schools. That means that students are not being exposed to computer science at a young age, potentially triggering an interest that could develop into a lucrative career, district officials said. The new curriculum would introduce about 20 hours of computer science education each school year to students in preschool through fifth grade. An example of computer science lessons for elementary school students would be putting together blocks based on conditional statements, as if to mirror code-writing on a computer. The model for that age group would likely involve one computer science specialist for every two schools. The teacher would spend about an hour a week in each classroom of one school for one semester, then switch to another school for another semester.